Detroit: Nissan Pulsar to get the axe? 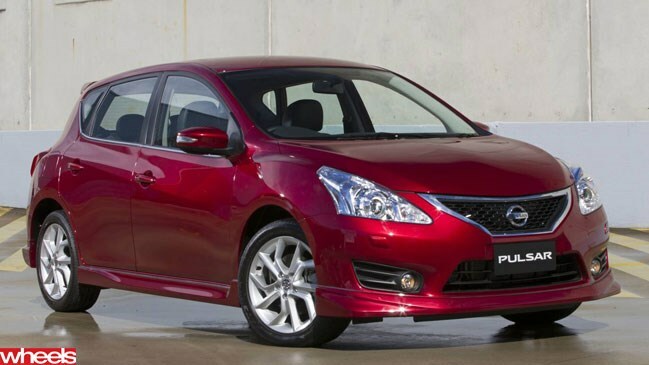 NISSAN’S struggling Pulsar may have a shorter lifespan in Australia than originally envisaged. According to global executive vice president, Andy Palmer, the company is developing a more conventional hatchback range to take on the likes of the Toyota Corolla and Volkswagen Golf. While the as-yet unnamed C-segment small car is designed primarily for European consumer tastes, it will be sold in many regions across the world – including most likely in Australia – after debuting at the Paris Motor Show in September. “It will be a global car everywhere except in the United States – we’re not developing the platform for North American regulations, but in all other respects it is a global car,” Mr. Palmer confirmed. “It fits exactly in that (conventional small-car hatchback) space. It is important for us now because as we have grown from the days of the old Almera (N16 Pulsar in Australia) as a relatively small player in Europe to the smash hit we’ve had with the Qashqai (Dualis Downunder), our customers in some cases have had nowhere to go back to. Mr. Palmer added that it would make no sense for the newcomer and current Pulsar to both be sold in Nissan dealerships. “I don’t think it could exist with Pulsar (in Australia) because Pulsar plays in that same space. Nissan has not offered a full-sized conventional C-segment hatchback to take on the Corolla and co since the demise of the N16 series in 2007. At the time the company’s European arm gambled instead on the then-novel Qashqai crossover concept that has since become one of the most successful UK-built vehicles of all time. But the smaller B-segment based C11 Tiida that replaced the original Pulsar line in early 2006 bombed spectacularly in Australia, while its 2012 replacement – though faring better with buyers as the new Pulsar – has been outsold by the Corolla and Mazda 3 by a margin of almost three-to-one. To help keep costs down, Nissan is expected to manufacture its premium Euro small car offering in Spain. Both the Pulsar in C12 hatch and B17 sedan guises are currently sourced from Thailand.